Accidents are just a part of life, but there are some places where you just don’t expect mistakes to happen. Hospitals are one of those places. Unfortunately a Texas hospital ended up making a very big mistake – one that could have altered the life of not just one family, but two! Aaron Powel and Jessica Escobedo had delivered their third and final child at the Oak Bend Medical Center, a hospital just outside of Houston, Texas. Like most parents, they were ecstatic to welcome their baby girl, little Melanie, into the world. “It was my last one. We were trying to enjoy it as we go,” Jessica Escobedo told My Fox Houston. Melanie’s delivery, which took place on December 10th, had gone well. But the day after her birth, something went very wrong. “The next morning, when they brought my baby back in for feeding time, the nurse brought the wrong baby,” Jessica said. Jessica and Aaron discovered that the baby’s name band did not match her own, and the baby laying in the bassinet was not hers. So, if they had someone else’s baby, then where was their daughter Melanie? 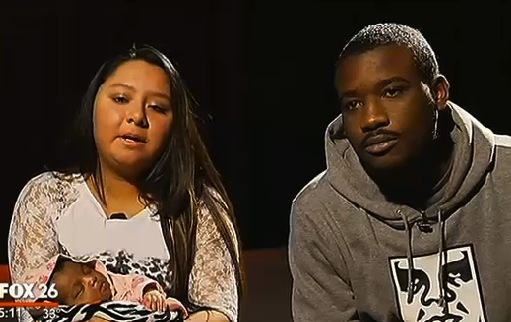 “I asked the nurse where was she and they actually took my baby to another mother. She was over there for, like, two hours, and the other mother actually breastfed and didn’t notice that she had the wrong baby,” Jessica said. Aaron isn’t the only struggling to deal with the mishap. Jessica’s mother (Melanie’s grandmother), Geneva Fuentes, is demanding answers from the hospital. She’s wants to know how something like this happened, what the hospital plans to do about it, and how they plan to prevent it from happening to another family. 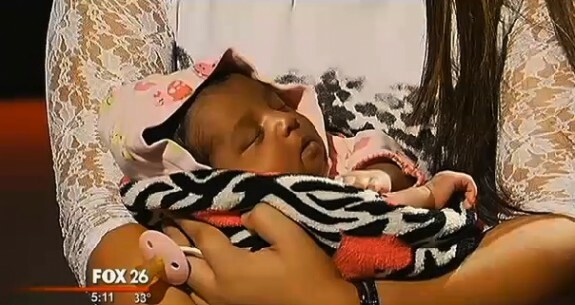 “I felt a mistake that big, the hospital should’ve asked my daughter, ‘What do you want to happen at this point,’ and it didn’t happen like that,” Geneva told My Fox Houston. Dr. Douglas Thibodeaux, Chief Medical Officer at Oak Bend, says that the hospital acknowledges the mistake, and they are taking action – not just to help ease the Jessica and Aaron’s concerns, but to ensure that this never happens at their hospital again. “There is no question it should not happen because the bands are very specific to the babies, and we should never get the babies mixed up, but you know, it does happen,” Thibodeaux told My Fox News. He says that the contracted nurse who had handled the babies was fired, and the hospital is putting all their nurses through refreshment training courses to ensure this doesn’t happen again. Additionally, the mother who breastfed Jessica and Aaron’s baby was tested for diseases, according to an Oak Bend spokesperson. The mother did come back clean, so hopefully this will be nothing more than a horrible memory for the Powell-Escobedo family.